Carol Keirstead joined the BJU administration in 2004 as Chief Communications Officer responsible for executive communications, public relations and internal communications. 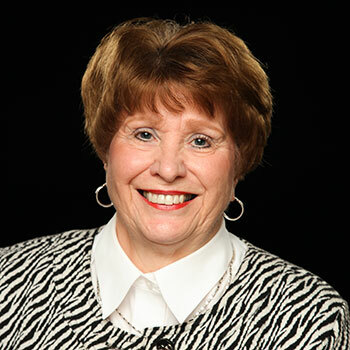 Carol holds a BS in Secondary Education from Bob Jones University and an MS in Journalism from Boston University and has taken marketing and management development programs at the John F. Welch Management Development Center. Prior to returning to BJU, Carol held a number of management positions in General Electric’s energy division where she was responsible for marketing electricity generation equipment around the globe including trade press/publicity, advertising, trade shows, sales promotion collateral, digital advertising and promotion tools, direct mail programs, new product launches and video productions. She provided executive event and presentation support to senior management on a global basis and planned/executed select customer events for the division CEO and president of global sales. She served as business liaison with the United States Energy Association and industry associations such as Edison Electrical Institute and Association of Edison Illuminating Companies. Prior to her marketing positions, she was supervisor of the Training Services Operation, responsible for writing and producing multi-media product and sales training programs for multiple GE businesses. During her GE career Carol received numerous managerial awards. In 1986 she received an Alumni Citation from Bob Jones University and in 1994 was named BJU Alumnus of the Year. In 2004 Carol was named among the 50 Key Women in the Global Energy Industry. In her local church Carol has served as Sunday school teacher, director of Christian education, Awana Clubs commander, summer camp director and banquet and conference speaker.